Have you ever wondered why all Democrats seem to speak from the same talking points and rarely criticize President Obama? Do you wonder why business leaders seldomly denounce publicly the regulatory assault coming from the Obama Administration? The reason is simple. President Obama plays to win and he will use any means necessary including the power of the state to punish those who stray from his progressive herd. Intimidation from the Obama Administration is not reserved to conservative organizations and Republican donors but also includes members of the president’s own liberal team. Mayor Cory Booker of Newark, New Jersey, complained on national TV that he was tired of negative campaigning saying, “This kind of stuff is nauseating to me on both sides. It’s nauseating to the American public. Enough is enough, stop attacking private equity. Stop attacking Jeremiah Wright.” Booker’s comments were interpreted as criticism of Obama’s re-election tactics. Booker’s comment on private equity was construed to mean he was referring to the harsh attacks from the Obama campaign on Bain Capital, Mitt Romney’s former firm. Only hours after making those comments on NBC’s Meet the Press, Booker backed away from his statements in a YouTube video, saying it was “reasonable” for Obama’s campaign to discuss Romney’s business record. Then there is Obama’s attack on JPMorgan Chase CEO Jamie Dimon because he dared to criticize Obama’s policies. Charles Gaspario’s opinion piece, “Jamie Dimon’s $13Bil sin: Bashing Obamanomics,” exposes the mafia like tactics waged by the Obama Administration to punish Dimon. Today the JP Morgan chief executive could be putting the final touches on a deal with the Obama Justice Department that would make Don Corleone proud. For various alleged financial “crimes” involving the sale of fraudulent mortgages, the nation’s largest bank is slated to fork over $13 billion, admit some culpability and prepare for a barrage of lawsuits from Wall Street ambulance chasers. No, Dimon’s real sin, as I’ve pointed out on these pages before, was his withering critique of the Obama economic agenda, which he said was holding back the US economy. As Gasparino pointed out, most of the legal issues stemmed from companies the bank bought during the stock market meltdown. 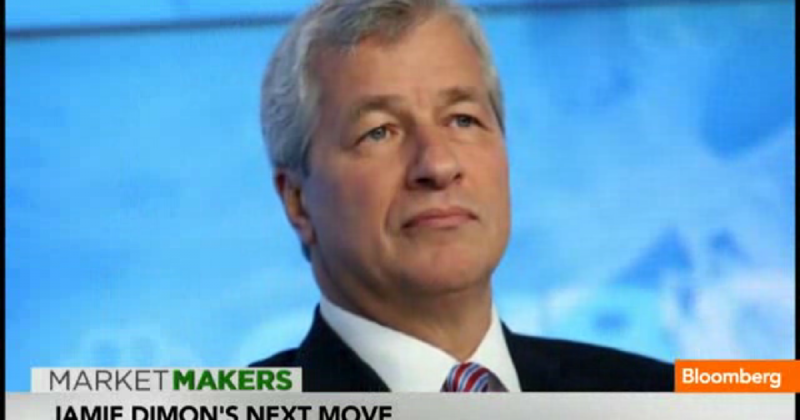 At the time, it was the government that urged Dimon to buy the financially troubled lending institutions. Obama’s tactics has a chilling effect on free speech. Going forward, CEO’s know they will be relentlessly punished if they dare to criticize Obama’s policies and there is no immunity for doing the government a favor during a crisis. Also keep in mind Dimon is a Democrat so party affiliation has no bearing on Obama’s willingness to use the stick. The same lesson goes for liberal politicians. Who knows what the Obama campaign said to Booker after his Sunday morning interview but it must have been strong for him to go on YouTube to essentially apologize. The overriding message from Obama is sit down and shut up or you will pay a price.